West Lulworth is geared for visitors. There is a visitor center as well as cafes and shops aimed at the 500,000 visitors who come each year to the area. However, much of the village is quite picturesque with thatched roof cottages and streets bounded by stone walls. 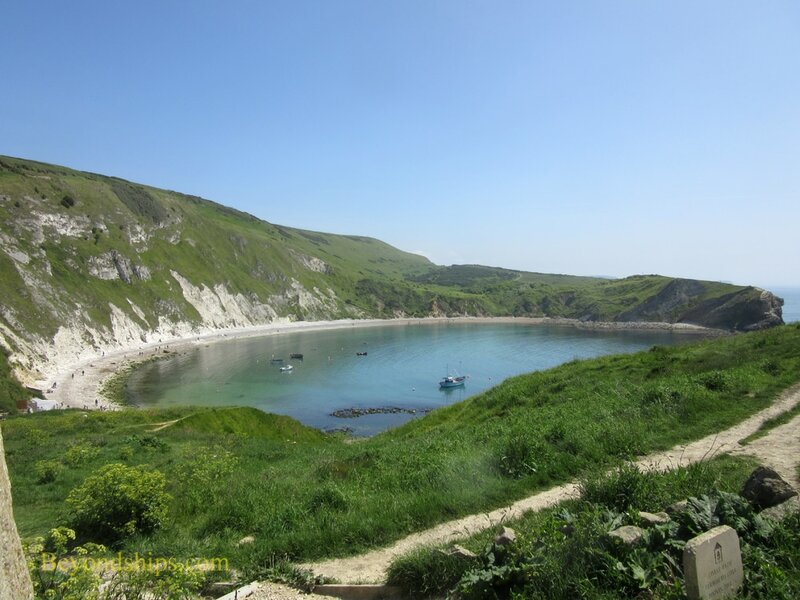 Lulworth Cove looks like a perfect circle. It was formed when the sea broke through the coastal limestone and eroded away the softer rocks behind it. When a wave moving horizontally strikes an opening, it moves in a semi-circular fashion on the other side of the opening hence the circular shape of the cove. 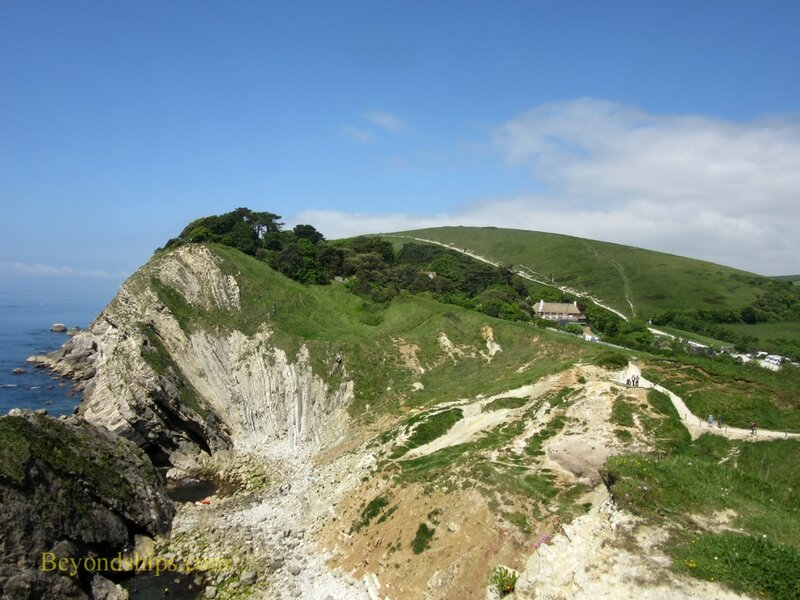 Opposite the narrow entrance is a pebble beach with a chalk cliff behind it. Not far from the cove, there is a similar geologic feature in the making. At Stair Hole, the sea has carved an arch out of the coastal limestone and is in the process of eroding away the land behind it. In another 10,000 years, it should look like Lulworth Cove. In the meantime, Stair Hole has excellent examples of the Lulworth Folds, rock strata that were folded during the aforementioned collision of the continental plates. 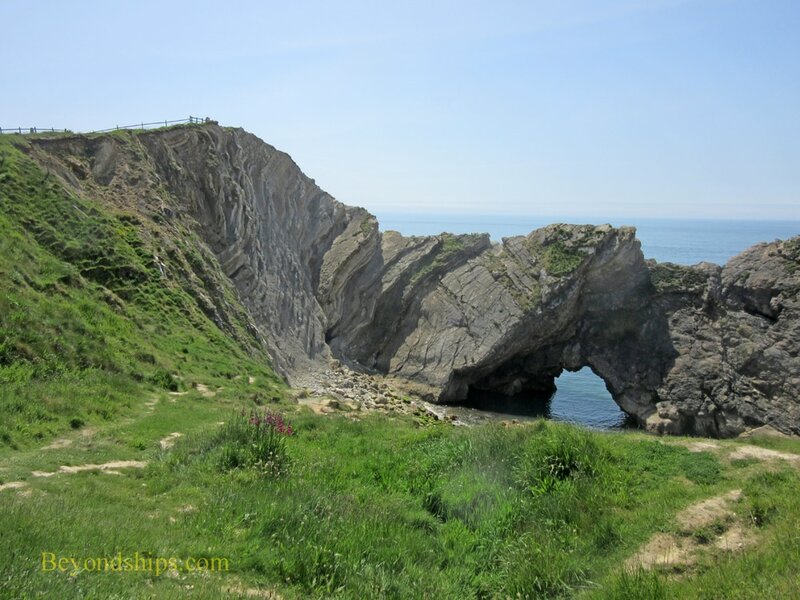 ​This section of the Jurassic Coast is known for its unique geological features. However, they are set in beautiful English countryside surprisingly unspoiled considering its popularity. Thus, it is an unusual combination of science and charm.